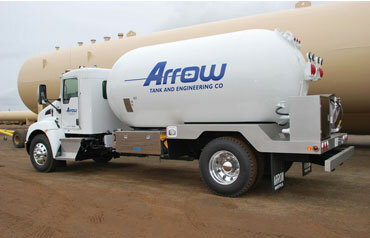 Whether you are looking for a new tank for your truck, to get an existing tank stretched or a tank that will be used as storage to fill your trucks Arrow has the tank for the job. If we dont…We will make one for you. You can order tanks alone or with skirting. Our Deckline and Fleetline options are available. Another option that some assemblers take advantage of is to drop ship the chassis to us for mounting, tie-downs and bumper installation. 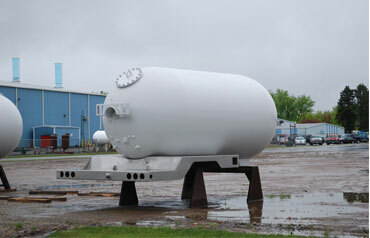 When complete, it can ship to your facility under its own power. Over the past decade chassis frame heights have drastically increased. 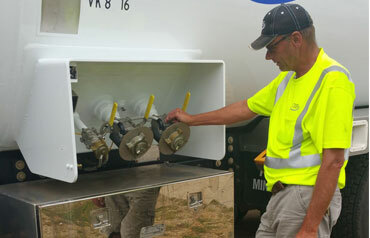 This trend has a direct correlation to the accessibility of the spray fill connections which are now 6-12 inches higher. Optional Side Fill reduces connection height by nearly 10″. Computer generated, CAD cut, high performance vinyl graphics and lettering provide valuable marketing impact, contact information and make your trucks look good. 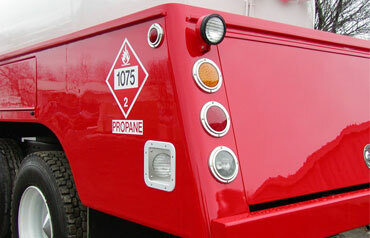 Matching graphics give your fleet a great look and present a consistent look to your customers. Vessels are available in a variety of finishes. Beginning with raw finish or choice of high performance primers and coatings supplied by companies such as DuPont, Diamond Vogel, Viking, Sherwin Williams, Valspar and PPG.